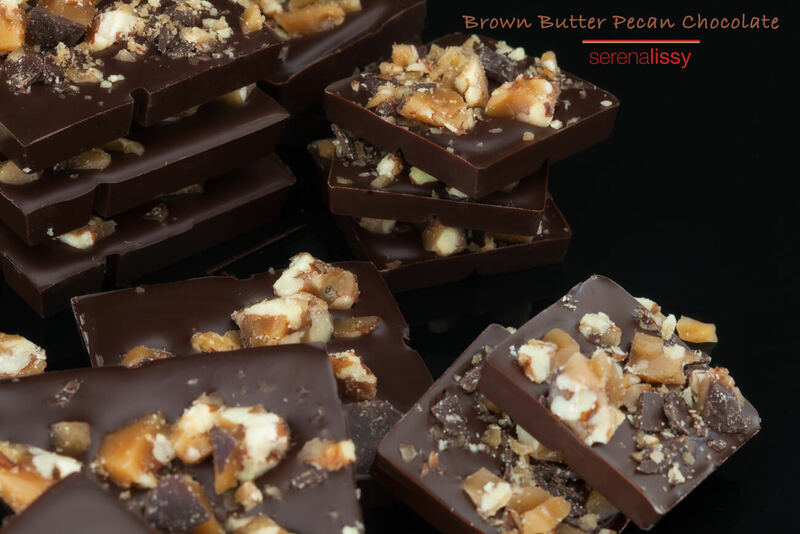 Earlier this week, I was testing some chocolate blends that I wanted to use for these brown butter pecan chocolates. I called over a friend and asked him to help with the tasting. We had six different chocolates to taste. All were very similar in taste, but each had a few minor differences. I arranged the chocolate into the six different tasting containers, provided each of us with a tasting note card like I had used at America’s Test Kitchen when we had done recipe tasting. And we had a glass of water for the palate cleansing. In my mind, it was a simple enough task. I had sampled chocolate so many times in my life I didn’t even think that others haven’t. We finished with the six samples. It was clear that three contained a better blend than the others. Once we had finished I knew the one I was going to use. But after talking with my friend, he confesses that they are so close he could not make a definite choice between the remaining three. After this tasting it occurred to me that chocolate tasting is very similar to wine tasting. 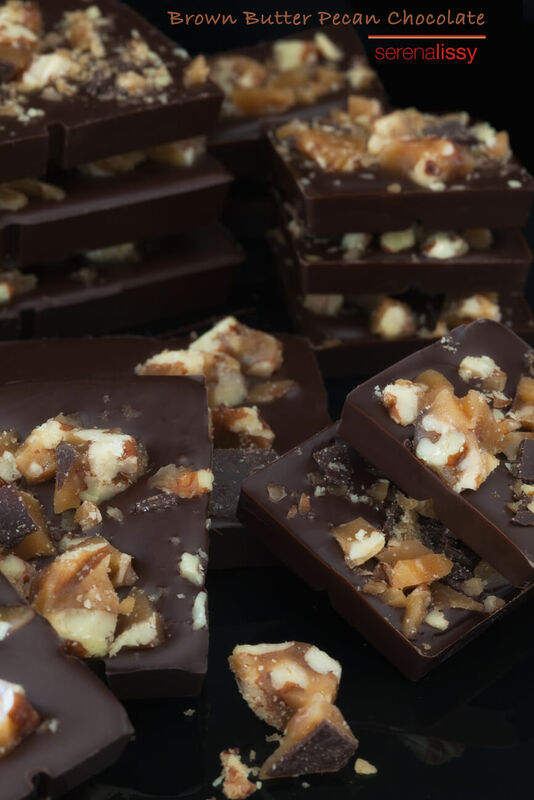 Each type of chocolate contains its own set of unique flavors. The flavors change based on regions of where the cacao bean is grown. Topography, weather, soil conditions, and post harvesting also affect the taste of the chocolate. Just like wine. With so many flavors, one can see why it’s important to taste carefully so you can get the fullest flavor potentials. When I taste chocolate I prefer to do it in an environment free of distractions. Being able to concentrate and focus is extremely important. The next important thing is to make sure your palate is clean. That means if you just ate dinner, you really need to cleanse your palate. Chocolate should not taste like a hamburger. Water, especially sparkling water, is really great for a palate cleanser. The size of chocolate is important in tasting. Here is where we sometimes get in trouble. We have to remember we are tasting, not eating an entire bar of chocolate. You want a piece large enough to accommodate the full evolution of flavor, but not fill you up. Next you want to look at the chocolate. The surface should be free of blemishes. No white marks, which are known as bloom. Does the chocolate have air bubbles, swirls or uneven surfaces? Good chocolate should be free of these defects. There should also be a nice sheen on the chocolate. A matte surface is usually an indication of poor molding. This won’t affect the flavor; it just makes it look ugly. Smell the chocolate! Inhale those fragrances! What do you smell? The aroma will vary depending on its variety. Do you smell fruits, nuts, spices, or even flowers? Now comes the good part! Place the piece of chocolate on your tongue and allow it to get to body temperature. Let it melt slowly. You want the cocoa butter to distribute evenly in your mouth. As it melts, concentrate on the flavors that are building on your tongue. Notice how the flavor evolves from beginning, middle to the end. Chewing is optional, but I try not to. And if I must chew, no more than three times is the rule I like to stick with. Ahhhh… bite number one is done. How was it? Bitter? Smooth? Creamy? Dry? Grainy? Did any changes happen in flavor from beginning to the end? Does it linger in your mouth or quickly vanish? Use a note card and write down your thoughts. What did you like? What didn’t you like? Now take a drink of that water you have, and go for sample number two.